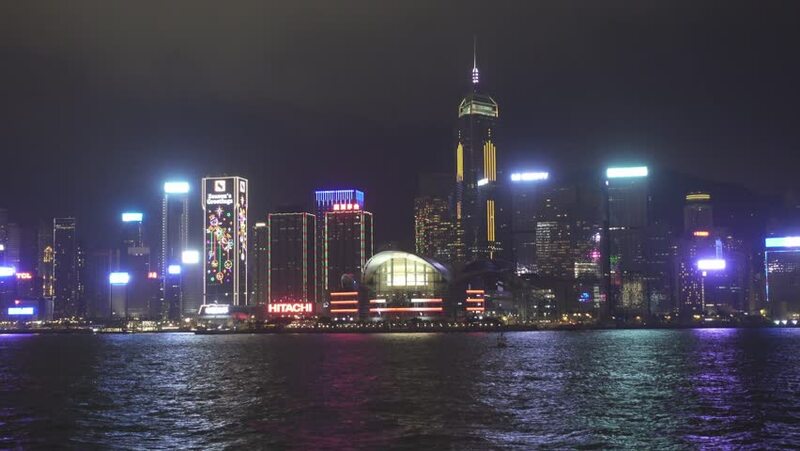 4k00:15Hong Kong skyline and Victoria Harbor at night. Colorful lights of skyscrapers in downtown reflected in water. hd00:19HONG KONG, 10 MAY 2013: Famous Red Sail Junk Boat passes in front of beautiful Hong Kong skyline at night, a very familiar sight.